For the Mechanically Inclined: Overlock Machine ? I think? What's this? Oh? A SERGER?! YES! I finally have one! I feel all...professional now. 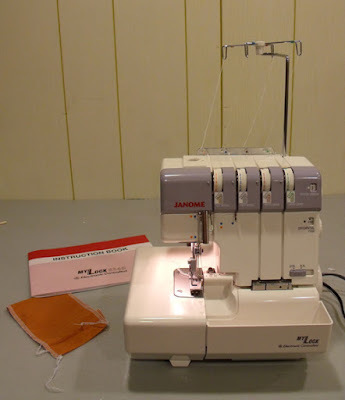 It wasn't too hard to thread it (though I did get really lucky and they now make a version that's like "sergers for morons" with an easy threading lever). I was able to get it from the machine store we have at work, and I was super duper excited to try it. In other news, I did a bit of sewing this weekend - started making a skirt out of this BEAUTIFUL Marimekko fabric "Kumina" - it's got pumpkins on it. But I started cutting out the pieces and realized that two of them DID NOT MATCH UP. I was all "OMG I AM A TERRIBLE SEWER" and began to lament my choice of tertiary profession, and moped in a corner. 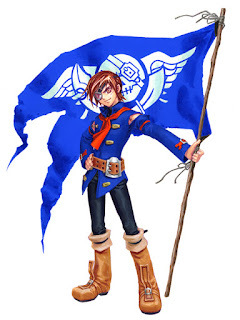 So then the next day, after doing some last minute running around, I decided I'd do my mockup for my next cosplay (for Shuto Con): Vyse from the game Skies of Arcadia. I've wanted to make him FOREVER and a day ago - (yay glass eyepatch! ), but I never had the motivation. And then Jessie and Kristy came by, and Jessie was all "we should do that" and I was like "yes, we should!". And thus the project was born. I didn't see them this weekend (I think they got busy with some work or such), so I started to work on mine to get it out of the way. 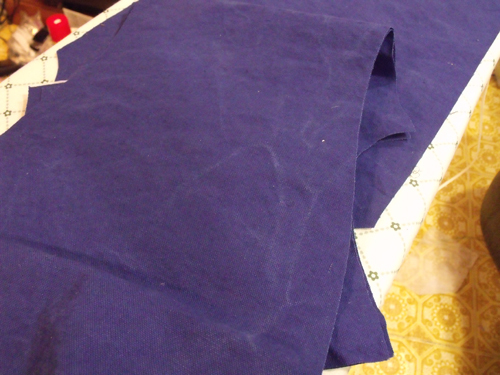 I was making it out of a royal blue canvas, when I came across a terrible problem - I had washed the canvas, but I had all these weird little creases in it after I had washed it! After I had cut out all the fabric, I decided, HEY I'll run it through the wash again, and try and air dry it to see if the creases 'n stuff go away. Currently I think I'm doing okay in the crease department. I think they're going away due to, well, gravity. However, in doing so, the edges of ALL THE PIECES are frayed about 1/4 of an inch in. ....of course after I take it out of the wash, I tell myself. "Hrm. I probably should have serged this before washing." I'll let you know the outcome of the experiment soon. I'll hopefully be doing some sewing on Tuesday night. A new year, a new schedule! New Costumes! HELLO! Sorry for my long absence! As you can probably figure out, things got SUPER busy as the Christmas season fell upon us. Around here, everything picks up like crazy and it becomes a flurry of gatherings, family visits, dinners, busy work schedules, and the like. AND then on top of that, around New Years I managed to catch myself a cold (THANKS DAVE). And it's still lingering, about a week and a half later! GUH! Shuto Con - March 25 - 26 - Lansing, MI - Crash Bang will be presenting 3 panels! 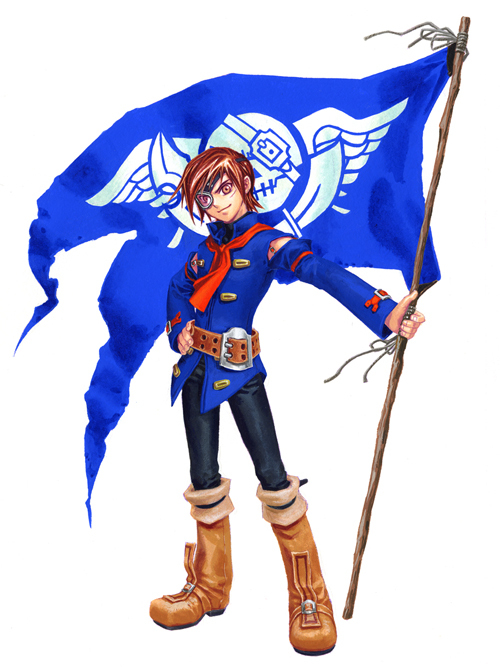 JAFAX - June 25-26 - Allendale, MI - We'll be in charge of the Masquerade and Fashion Show again! Anime Crossroads - December 16 - 18 - In theory, helping out with the Masq and other related events! I'll keep you all posted (I should make a page for these lists too), as things grow and/or change. Needless to say, I've been playing with rubber molds and resin again.